Kiss The Foodie | Stolen kisses are always the sweetest. My food is even better. There are days when I am craving for something, and I can’t get it off my mind until I finally make one. 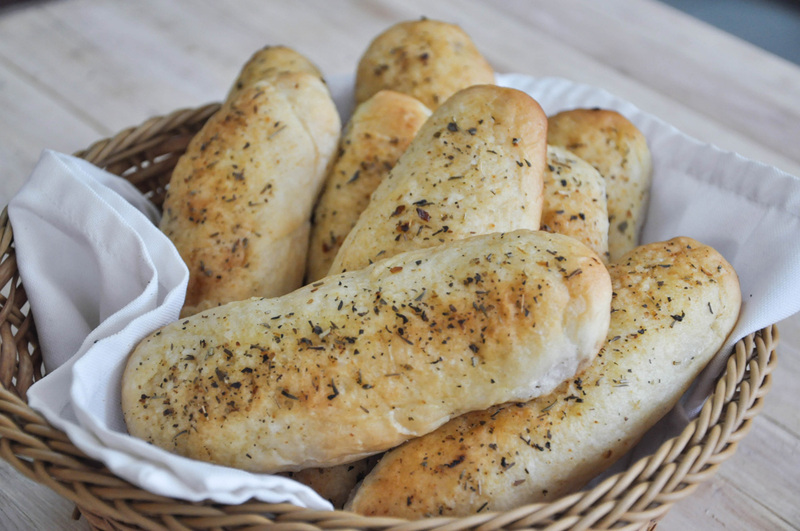 Such was the case when I had a serious craving for breadsticks. 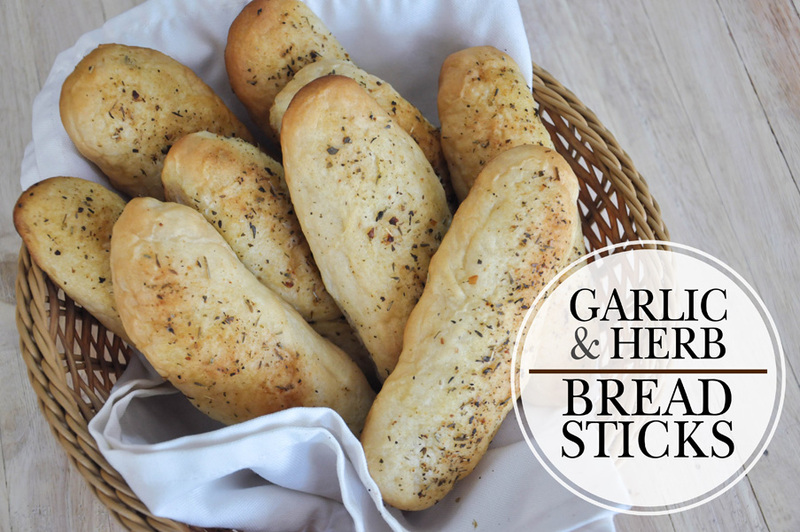 And not just the typical boring and dry breadsticks, I wanted mine herby, garlicky, soft and moist breadsticks. Problem was, I didn’t have a recipe. 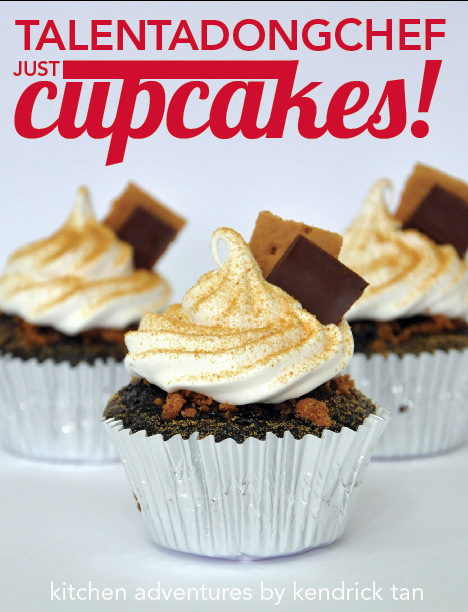 As a birthday treat, I am sharing with you an e-book of my favorite cupcake recipes. This is just the start of my “kitchen adventures” series of e-books. I just hope I find the time to make more! Cheers! To get the file: Click the link below, then click “save as” or “download linked file as”. The file should be in PDF form. I was already in my teens when I was first introduced to an Oreo cookie. Yes, I never had that twist ’em, lick em, dunk ’em kind of childhood. 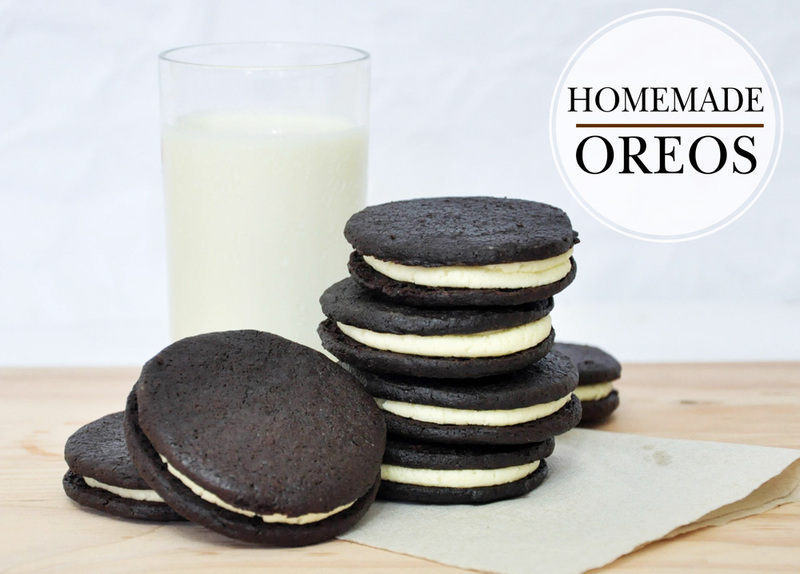 Growing up, my go-to vanilla-filled chocolate biscuits were Hi-Ros and for me, these were the best. But, when I tasted Oreos, it was love at first bite! What made me a convert, was how deep and rich its flavor was compared to Hi-Ros. 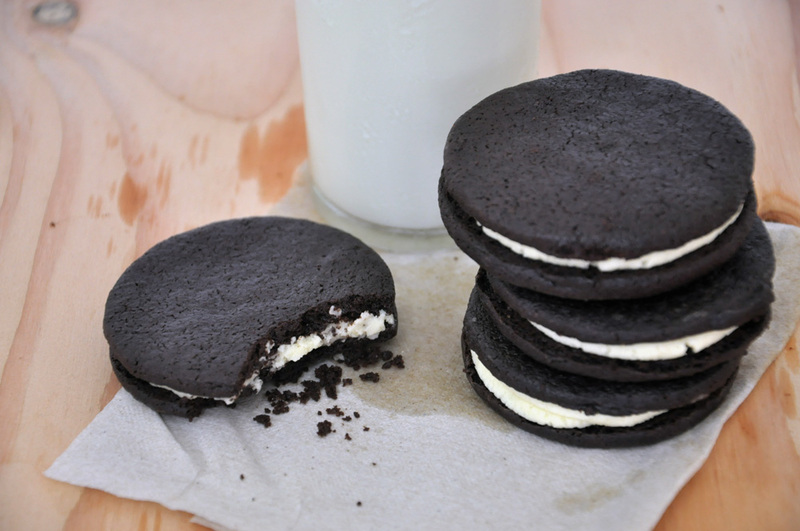 Since then, Oreo cookies have always been a constant cookie companion. Now, you’d ask me, why trouble myself with making a homemade version, when a quick trip to a sari-sari store is easier, and cheaper? Yeah, I’ve thought about that too. Well, the answer is simple. SIMPLE ingredients. In this recipe, we’ll use ordinary ingredients like sugar, eggs and cocoa; not those ingredients that you only read in chemistry books and experiments. I mean, what would you rather put into your mixture: white sugar, or fructose and thiamine mononitrate? So what are you waiting for? Here’s the recipe. Growing up, one of the favorite cakes that my grandma bakes was her mango cake. 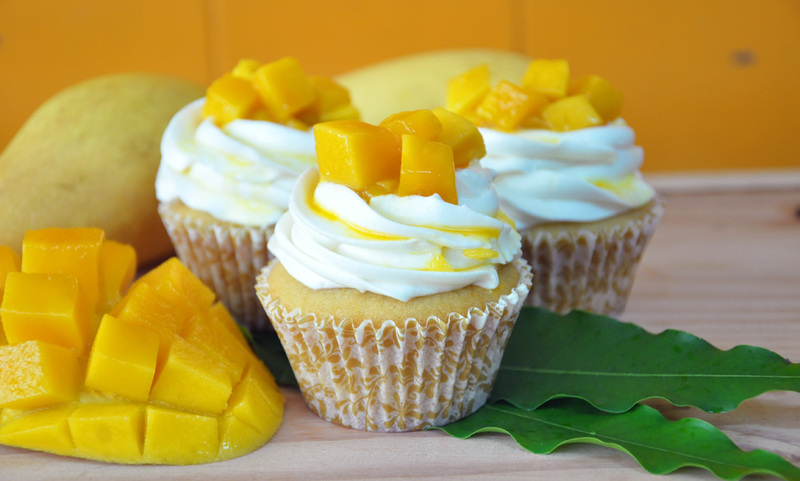 It is a soft, pillowy vanilla sponge cake, filled and frosted with Swiss meringue-mango buttercream. Given my adorationfor her recipe, I took her cake as an inspiration for this cupcake. 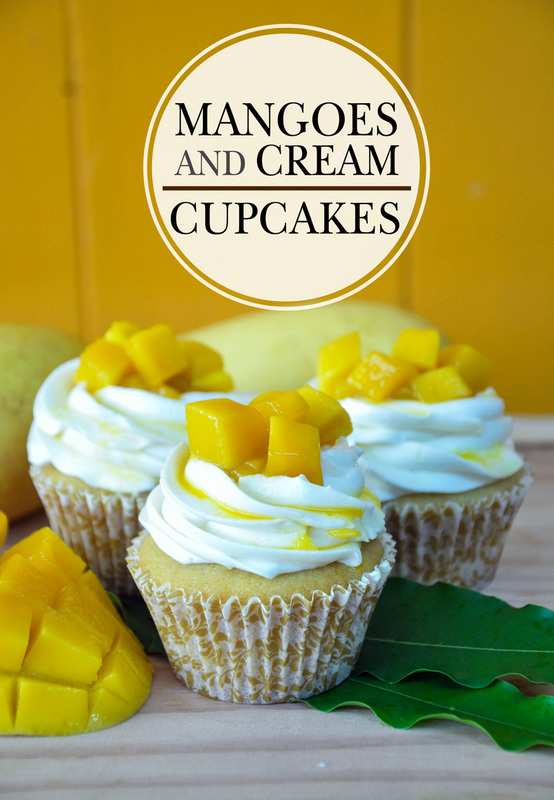 Since sponge cakes and I are not really the best of friends (I don’t know why), I decided to just use my trusted vanilla cupcake and tweak it bit which resulted into a rich and moist buttery vanilla cupcake with mango bits. For the frosting, since I do not have the luxury of a ‘light’ cake, I opted for whipped cream. This is just my excuse because I have yet to try making SMBC, and I’m scared! Haha. Using whipped cream to frost the cupcakes complemented the already ‘heavy’ cupcakes. Here’s an updated version of my Singapore-style Chili Crabs. Being a Samareño, I’m proud to say that we have the best crabs in the whole world! 🙂 The crabs from Maqueda Bay are so sweet and juicy. Then we have the Alimango (mud crab) from Calbayog that are so rich in flavor! Back home, we would cook the crab by just steaming ’em and that’s it… just as simple as that. If there are left overs, we would make crab omelette. Then I discovered crab cakes, which are basically fried patties of crab and potatoes dredged in flour and breadcrumbs. 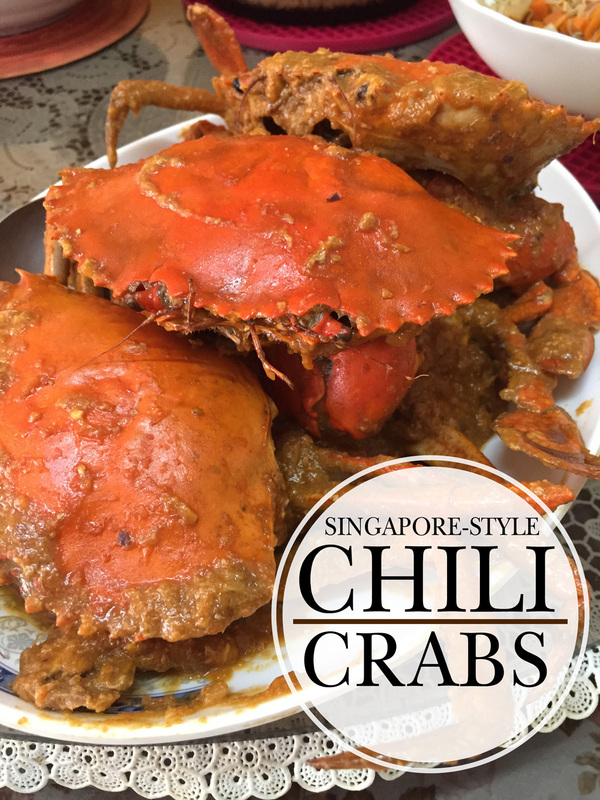 But it was only a few weeks ago that I discovered Singaporean Chili Crabs! A heavenly recipe for crabs! The perfect balance of spicy/sweet combo complements the crab so well. So after some online searches, a few video demos, I made my list of what my version of Singapore-style Chili Crabs would be. I sort of mixed different recipes, threw in a few of these, removed a few of that, until I came up with what I would think is the ultimate chili crab. Most people ask me, ‘how do you come up with these recipes?’ Honestly, watching food-related TV shows has already filled my brain with years worth of ideas (it never ends). 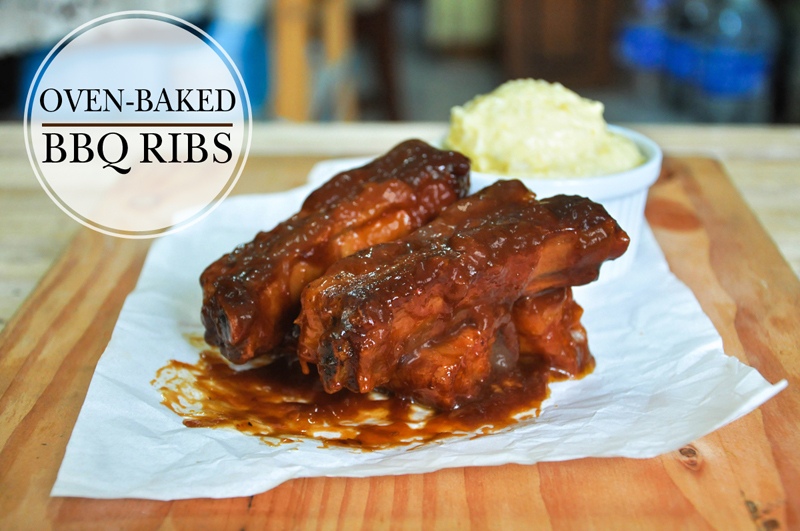 And sometimes, I just wake up wanting to cook a certain dish; this recipe for instance. 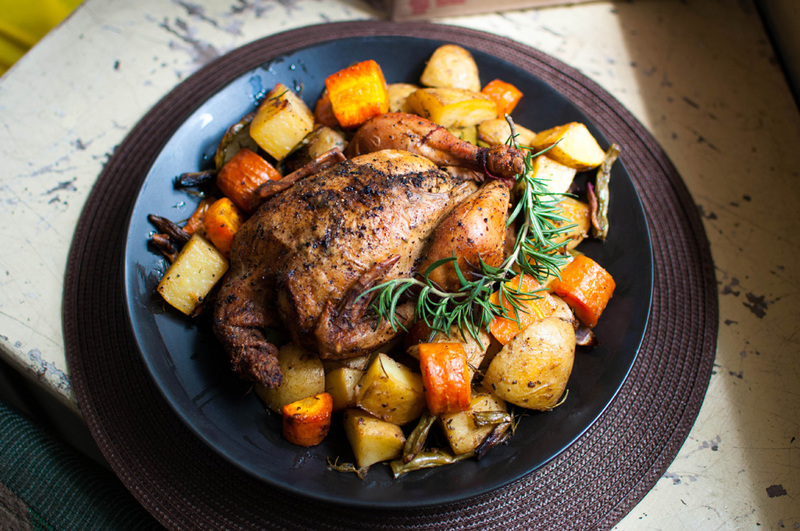 One Sunday morning, I woke up wanting to make roast chicken. I’ve been wanting to make one but the size of my old oven wouldn’t allow me to do it. So when I upgraded my oven (woohoo! 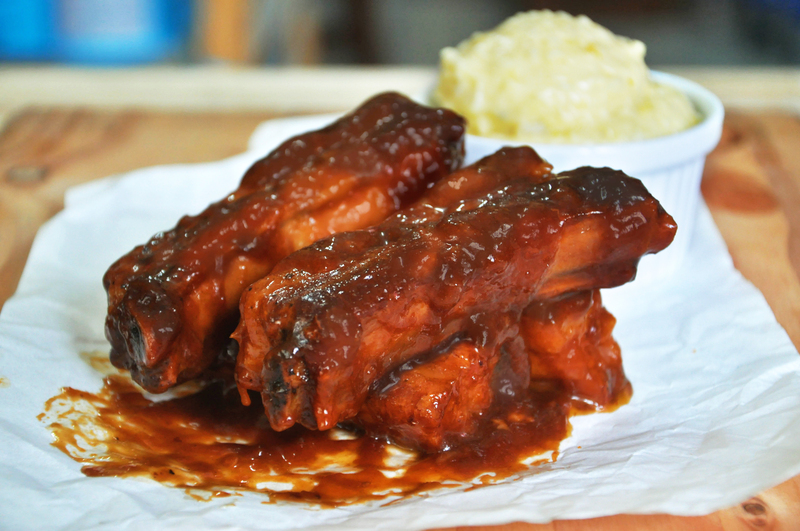 ), this dish was among the first on the list. 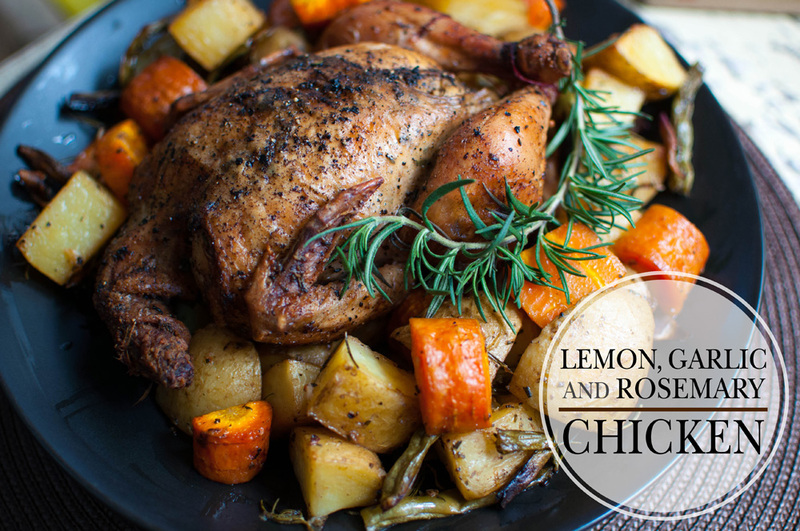 A quick trip to the supermarket’s produce section inspired many delectable flavor combinations, but nothing beats a classic, time-tested recipe. 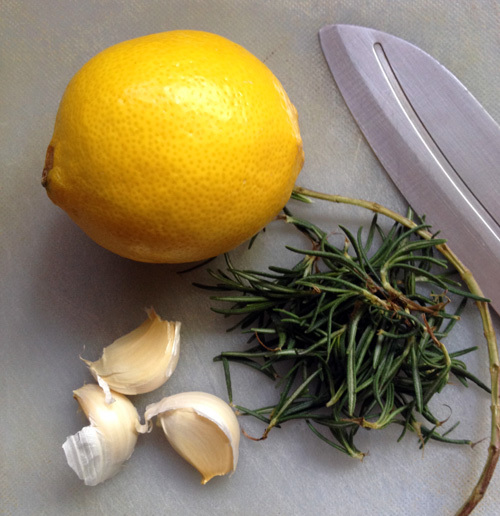 So, I grabbed some lemons, fresh rosemary and a stick of butter, and made my version of, well, lemon-garlic-rosemary roast chicken.